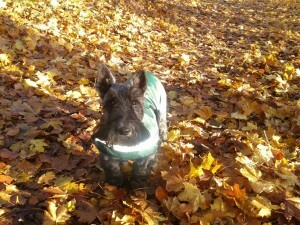 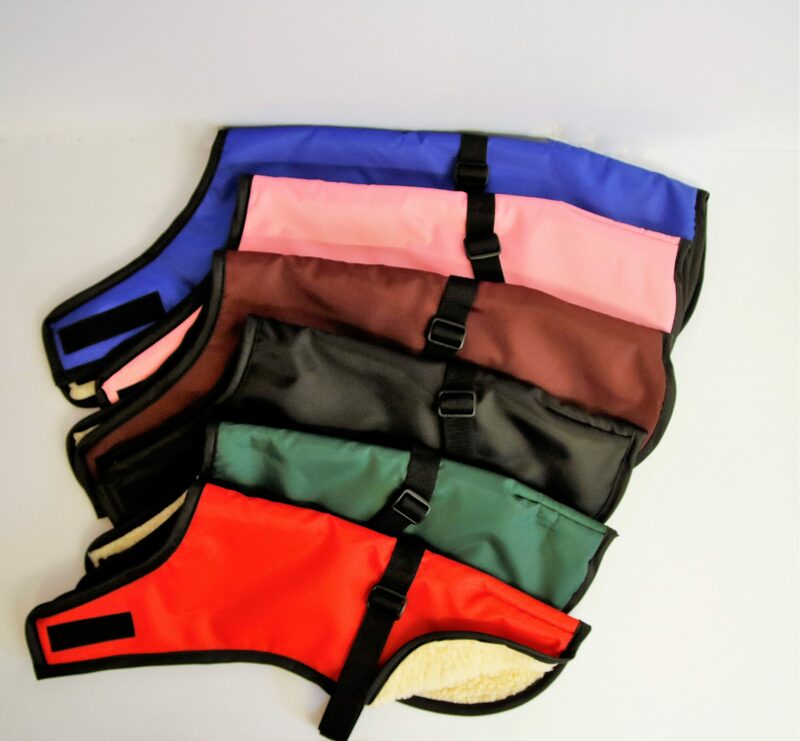 Unlike dog coats with a built-in harness, which are very difficult to put onto your dog, these harness dog coats can be used with any of our dog harnesses or your own. 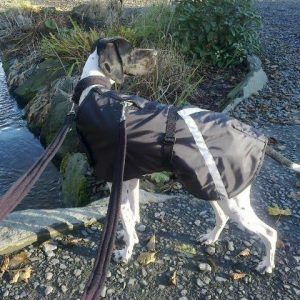 For flexibility you can also use a collar and lead with these little dog coats as the opening is so small and unobtrusive. 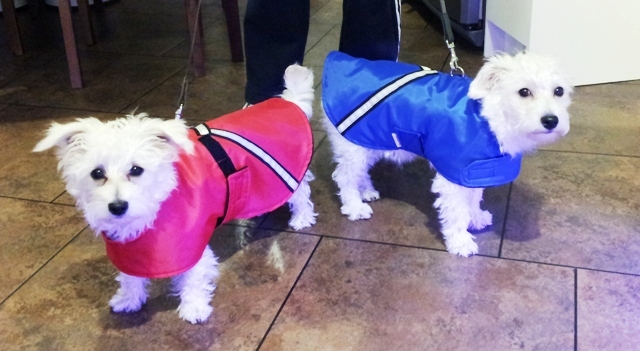 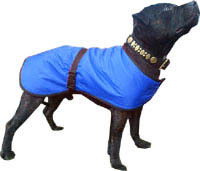 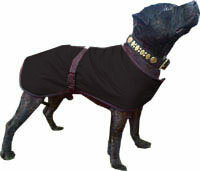 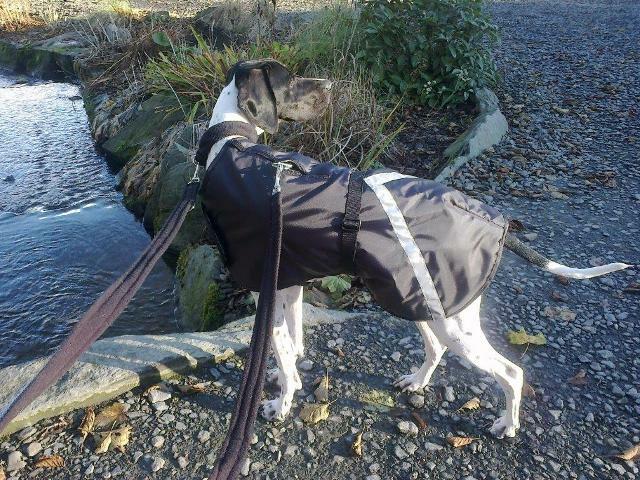 These dog rain coats are very easy to put on, just place over your dog’s back, clip the underbelly strap together and then do the same with the velcro fastening at the neck, no over-the-head or step-in. 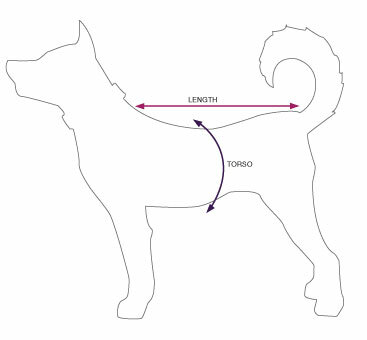 16" LENGTH FITS GIRTH 17-26"
18" LENGTH FITS GIRTH 19-29"
20" LENGTH FITS GIRTH 21-31"
22" LENGTH FITS GIRTH 23-38"
24" LENGTH FITS GIRTH 23-38"
26" LENGTH FITS GIRTH 23-38"
28" LENGTH FITS GIRTH 27-43"
30" LENGTH FITS GIRTH 29-46"